Netherlands is often called the Jeans capital of the world. 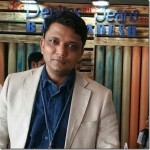 The country is very “Jeans Savvy” with consumers very much conscious of the type and quality of jeans they wear. Besides, some of the most well know denim brands are headquartered at Amsterdam including G-Star, Tommy , Pepe Jeans, Levis Vintage, Scotch & Soda , Denham- to name a few .The Jeans school by House of Denim enables more denim technicians to be created every year . Amsterdam Denim Days with Kingpins, Blueprint and City Center twice a year draws the best of denim fashionistas from around the world. Not to forget , Amsterdam also hosts some of the best denim shops globally ! All these denim centric activites ensure Netherlands a very strategic place in global denim scenario. It also ensures that the denim consumption in Netherlands is quite high. Is it higher than or lower than US / Brazil / Japan etc which are considered the places with very high per capita consumption. Well, lets see in the report below and prepare to be astonished !